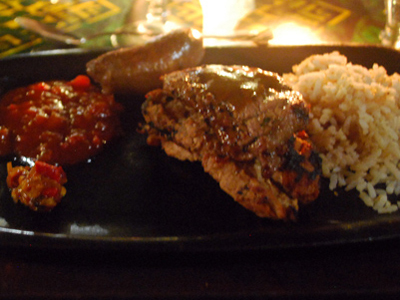 Let’s have a quick look at the quick peek we took of Johannesburg (often times called Jo’burg). We leave on time to go to the Zimbabwe/Botswana border. 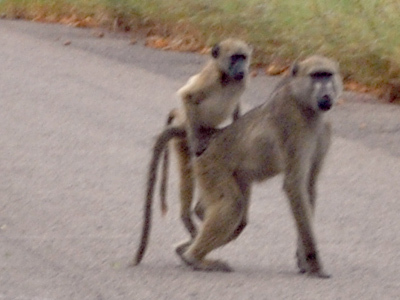 It’s an easy ride, with lots of baboons that are sitting and lying on the road for some warmth. 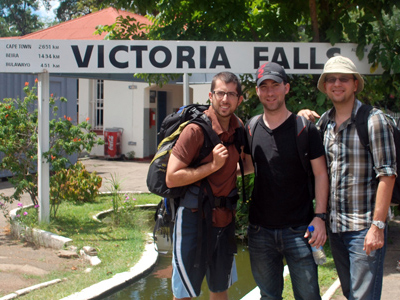 Marlowe and I went to Victoria Falls in Zimbabwe with fellow Canadians Tim and Chris. The trip from Mozambique took about 36 hours by bus and train. Six weeks after returning from amazing Victoria Falls, I continue reflecting on my shared experience with Marlowe and friends Chris and Tim. I’ll resume teasing and nót show the pictures of the falls but talk about The Boma. 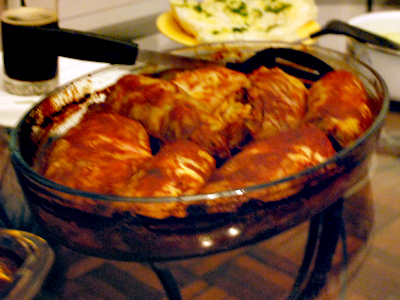 Marlowe makes cabbage rolls; the final obstacle to Hungarian cooking excellence. 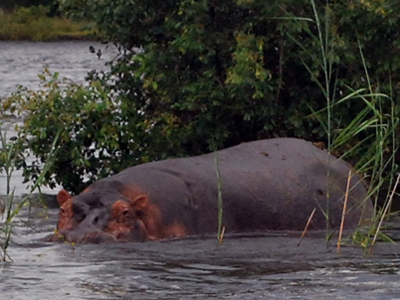 I’ve been dreaming for a long time to meet a hippo up close and personal. Marlowe always jokes that I would jump in the water at first sight and try to hug a 7,000-pound animal. 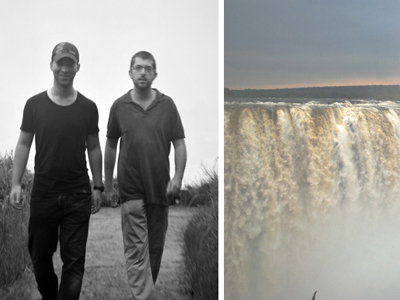 The next few blog posts will be related to our recent trip to Victoria Falls in Zimbabwe. The first part of this series is today’s blog about the first leg of our trip. Going to Zimbabwe by bus and train is cheap and very, very long. In the past two weeks a few things have changed dramatically in our lives here in Maputo. This blog is a mixture of sharing what’s up personally and professionally and how I feel. 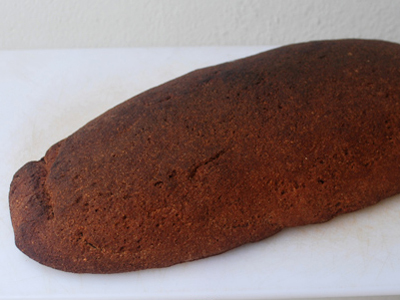 I am so fond of cooking and eating home-cooked food that I wonder at times if I should not start a food-blog. Especially now I am advised to eat gluten-free. With more time on my hands than I had in Toronto, it makes sense to spend more time in the kitchen. So what do you do when an important document was due to be sent and hour ago, your laptop won’t start due to some unknown error and the office you’re using suddenly loses power? Website created by Yes Creative. The views expressed in this blog are those of Marlowe Andreyko and Lisette Andreyko-Peerlings alone. They do not necessarily represent the views of CUSO International, their partners or affiliate organizations.